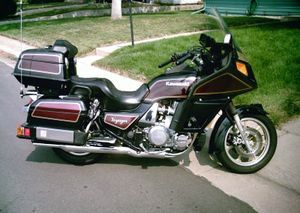 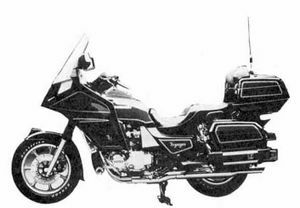 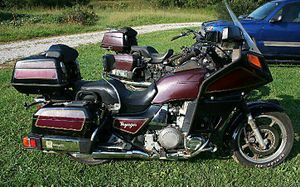 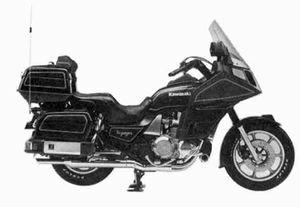 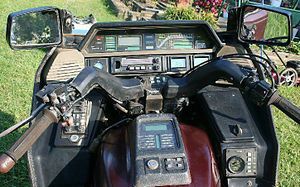 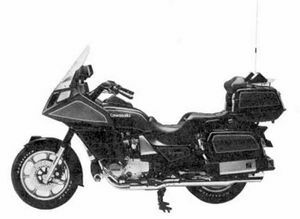 The Kawasaki ZN1300A is a motorcycle produced by Kawasaki from 1983 to 1988. 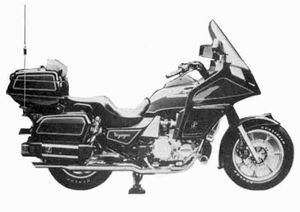 Touring model. 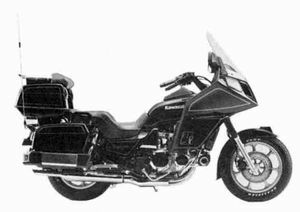 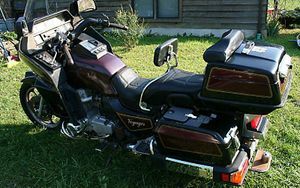 Fairing, travel trunk, saddle bags. 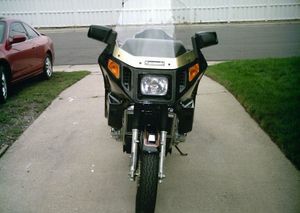 audio system, compass, trip cornputer, air suspension leveling system. 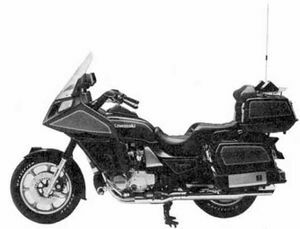 Liquidcooled, transistorized ignition system with electronically advanced, digital fuel injection.